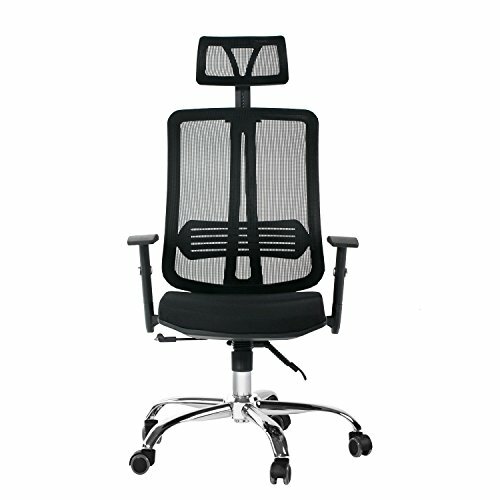 Adjustable Mesh Executive Office Computer Desk Ergonomic Chair, contemporary ergonomic mesh back home & office chair, is designed to provide exceptional back support and to prevent body heat and moisture build up. - Wheel Support 360° swivel freely and move very easily. - Adjustable tilt tension and seat height, greatly help to eliminates leg fatigue. - Forward and backward rotating, up and dowm adjustment armrest. CCTRO offer offer a 30 day no questions asked money back guarantee and superb customer service. If you have any questions about this product by CCTRO, contact us by completing and submitting the form below. If you are looking for a specif part number, please include it with your message.